Oklahoma Connection | Zahn came to Oklahoma with her parents when she was only six months old. 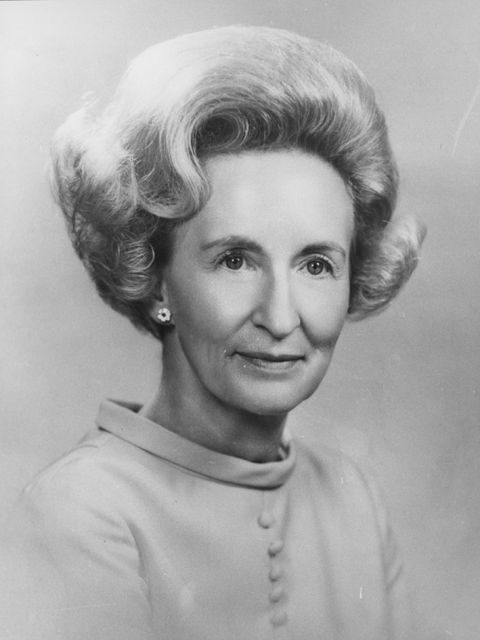 Betty Zahn was awarded Oklahoma’s as well as America’s “Mother of the Year” award in 1971. Her mother, Lutie Anthony, received the same state honor in 1955. The daughter of Oklahoma’s famed department store mogul C.R. Anthony, Betty Anthony Zahn was born in Idaho and graduated from Christian College in Missouri in 1936 before coming to the University of Oklahoma to complete her studies in 1938. She married Fred H. Zahn, an executive for the stores. Mrs. Zahn served as local president of the YWCA in 1958 and completed a six-year term on the national board of the YWCA from the southern region. She and her husband were active on the Oklahoma County Cancer Committee, and she was a member of the Delta Delta Delta sorority from which she received the Panhellenic Alumna award in 1965. She was a member of the Women’s Committee for the Oklahoma City Symphony and served with many organizations, including the board of directors of the Oklahoma Science and Arts Foundation, Junior League, Oklahoma Art Center, and the Oklahoma Medical Research Foundation.